Updated Monday May 2, 2016 by Franklin Little League. Managers, remember this division is to develop players. Although competition will be natural, we ask that you focus on enhancing skills and abilities of each and every player. Save competition for the end of the season tournament. Nine (9) fielders will be used. You need a minimum of nine (9) to play. The three (3) outfielders need to start in the grass of the outfield. A five (5) run limit per inning will be imposed. The rule does not apply to the sixth (6th) inning. The home team will be the winner if they lead by ten (10) or more runs after three and a half (3 ½). The visitor will be the winner if they lead by ten (10) or more runs after the fourth (4th) or any full inning after that. 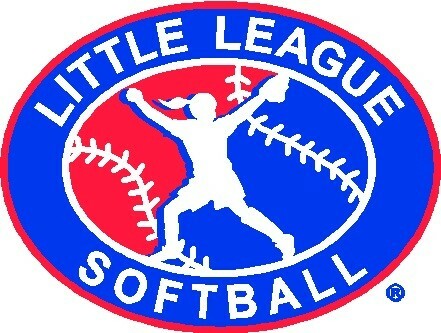 Note that the 10-run rule may not be enforced in Franklin Little League intraleague play. Hard stop of play at 1:45 hours but batter may finish her at-bat. If last batter scores winning run or is the third out, the final score will be after that batter's at-bat. If the last batter does not score the winning run or is not the third out, the final score will revert to the last complete inning. Stealing is allowed, however the runner cannot leave the base until the ball crosses home plate. When the pitcher is in the pitcher's circle and in possession of the ball, the base runner(s) shall not leave their base(s) until the pitched ball has been batted or reaches the batter. A borrowed player will be the girl that last batted for the opposing team. A borrowed player(s) must play an outfielder position closest to the dugout they are in. A team may only borrow enough players to make nine (9). Coach Pitch: Coach Pitch will occur during regular season and tournament play. NO WALKS. When the pitcher has given the batter four (4) balls, the batter will receive up to three (3) coach pitches. The batters strike count will carry over to the coach pitch. The batter will get up to three (3) pitches or three (3) swinging strikes whatever comes first to put the ball in play. After three (3) pitches the batter will be out if the batter doesn’t put the ball in play. If the batter fouls the third (3rd) pitch, they will get another pitch or pitches until the ball is put into play or the batter swings and misses the ball. There is no limit on the number of pitches as long as the ball is fouled off. When the next batter is up the pitcher will continue. During coach pitch the pitcher and the coach must keep one foot inside the circle. If the ball is in play the mgr/coach must avoid getting in the way of the play. The batting team will be the coach who pitches for the batter. The ball needs to be delivered underhand. Batter Hit by a Pitch: Considering this is the first year that some players will be pitching, and batters will be facing live pitching, the rule concerning being hit by a pitched ball with regards to not making an attempt to move out of the way of the pitch will not apply at this level. Batters will be more likely to “freeze” rather than move. Therefore, if a pitched ball hits a batter, they will be awarded first base or given a choice for coach pitch, unless bases are loaded then only coach pitch.